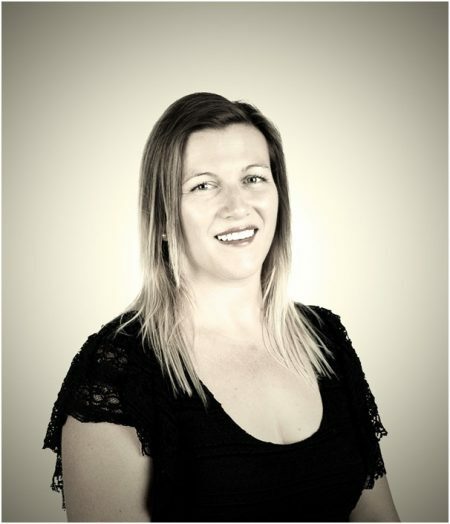 My name is Kate Thompson and I am the Director and Principal Mediator of Blue City Mediations, a private Mediation practice based in Geraldton and servicing the Midwest of Western Australia. Many clients have asked me about the name Blue City Mediations. One client suggested it was because clients of Blue City Mediations are generally having a blue with another party. The name was actually selected because, being based in Geraldton, we are constantly close to the stunning blue waters of the Indian Ocean and are so lucky to see it shimmering as we drive around town. Sometimes I feel like I am surrounded by blue. Hence the name, Blue City. Life before Blue City Mediations? I grew up in Melbourne and since finishing school I have travelled, completed a Bachelor of Laws, completed a Bachelor of Arts with Honours in Political Science and had a shop of my own in an underground subway in the Melbourne CBD. Travelling around Australia I had passed through Geraldton a few times, so when I was offered the opportunity to do some work experience at the Geraldton Community Legal Centre, I jumped at the chance. After a taste of life in Geraldton I returned to the Melbourne CBD to work within a law firm with the goal of being admitted as a Legal Practitioner in the Supreme Court of Victoria. Once admitted I ceremonially threw my corporate high heels away and returned to Geraldton and was admitted as a Legal Practitioner in the Supreme Court of Western Australia. I secured a job at the Yamatji Family Violence Prevention Legal Service (now the Aboriginal Family Law Service). I later worked at the Family Relationship Centre in Geraldton, completing a Graduate Diploma in Family Dispute Resolution and being an Accredited Family Dispute Resolution Practitioner registered with the Commonwealth Attorney- General’s Office. I have also worked at Jo Lohrey Family Lawyers as a Solicitor. I currently work part time as a Solicitor at the Geraldton Community Legal Centre. In 2013 I successfully fulfilled the conditions prescribed under the Australian National Mediator Standards to be recognised as a Nationally Accredited Mediator. Sensing that there was a growing need for a conflict resolution business in the Midwest, I commenced Blue City Mediations in 2014. I have enjoyed interacting with clients who are seeking resolution of their dispute without battling in Court or only communicating via their lawyers. In January 2015 I gained Membership to the Legal Aid WA Dispute Resolution Chairperson (Children’s Matters) List, enabling me to be a Chairperson facilitating Legal Aid Alternative Dispute Resolution Conferences for Child Related Matters. I am a proud Member of the Australian Institute of Family Law Arbitrators and Mediators (AIFLAM) and hold Practitioner Membership of the Resolution Institute (formerly LEADR Association of Dispute Resolvers). I also enjoy being a Member of the Mid West Chamber of Commerce and Industry and the Australian Mediation Association. I consider myself a strong advocate of the Mediation process. It is a dignified, cost effective, timely way of resolving disputes without huge delays or legal fees. It is a process that acknowledges that often the most appropriate, durable solutions for resolution are found by the parties involved in the dispute, rather than imposed by a third party.